Curious to know what happens behind the scenes at the Tinwood Estate? Get involved in the most exciting part of the vineyard’s year – the grape harvest. You can join us as we hand pick the grapes, and as a result learn about what happens behind the scenes. Find out why our sparkling wines are so special. After working with us amongst the vines and we will sample three of English sparkling wines made from estate grown grapes. This is a unique, original and fun present for every wine lover, because it is the most important time in a vineyard. Come and take part in this once in a lifetime experience to be part of our 2018 harvest in the stunning Sussex countryside. 9am: Art & Jody (the owners of the vineyard) will welcome you with coffee and cakes. To start we will share with you how we pick the grapes, because we only pick the most perfect grapes to make our delicious sparkling wines. Above all, the grapes are hand picked to get the best grapes to create the highest quality for the wine. 9.30 am: We start working with our experienced vineyard team for 2 hours. You’ll be working closely with the vineyard team and you can ask us all your questions and find what makes the vineyard ‘tick’. 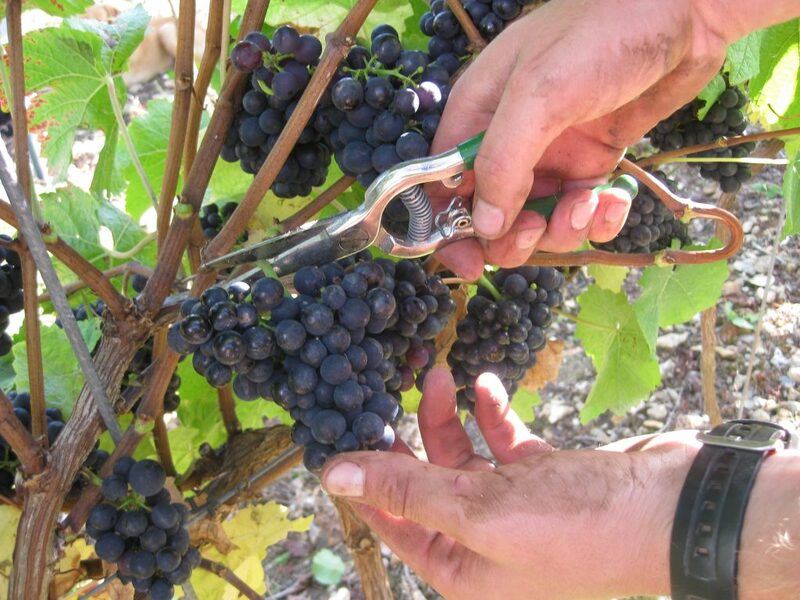 In these 2 hours we will pick one of our different grape varieties: Chardonnay, Pinot Noir & Pinot Meunier. 12.00 pm: A three course rustic harvest lunch will be matched with a different glass of each of our three sparkling wines. You will have a chance to relax and regain some energy and get that great feeling of working hard for something you enjoy! Afterwards you can take a seat in the sunshine or under our heaters on our outside patio overlooking the vines. 2 pm: We sit back, relax and look forward to enjoying the bottle of sparkling wine made from our selected grapes. This entry was posted on Friday, July 15th, 2016 at 12:05 pm by jodyjakab.